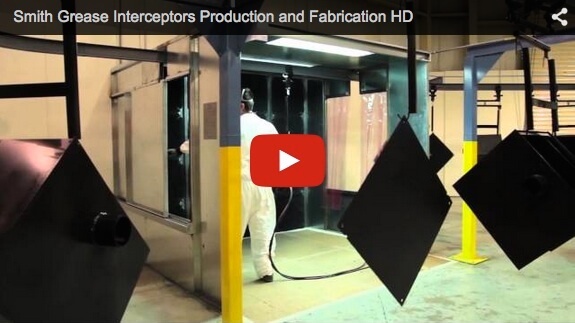 Grease Interceptors Video - Jay R. Smith MFG Co.
Jay R. Smith Mfg. Co. is proud to announce the availability of a new video showcasing the fabrication process of Smith Grease Interceptors from raw material to finished good. Our Grease Interceptors are recommended for use when removing and retaining fat, oil and grease in restaurant and commercial kitchen applications. Grease Interceptors are constructed of coated fabricated steel with no-hub connections, a non-removable one-piece baffle, diamond plate and non-skid cover.